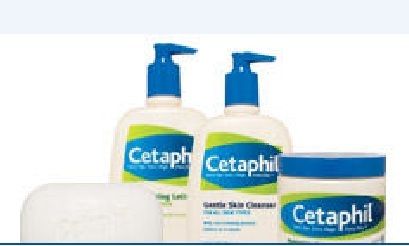 Cetaphil was created by dermatological powerhouse, Galderma, based in Sophia Antipolis, France. Armed with the highest levels of research and development, Cetaphil products were created to comfortably treat a vast range of dermatological conditions. Designed for those of all skin types, tones, and conditions, especially hypersensitive and dehydrated, this multitasking line of cleansers and moisturizers works to soothe stress and promote the most vibrant skin possible. All Cetaphil products are produced to provide the maximum amount of nourishment and hydration possible. A superior combination of humectants, emollients, and Vitamins such as Vitamin E make for long-lasting moisturization and health. Also free of fragrances, parabens, Lanolin, and Mineral Oil, these products are irritant-free for the most sensitive faces. Craving a deep cleanse without the irritation? Try Cetaphil Gentle Skin Cleanser for a soothing and refreshing clean. For lightweight hydration and powerful results, Cetaphil moisturizing Lotion is key.